Download or View full instructions. 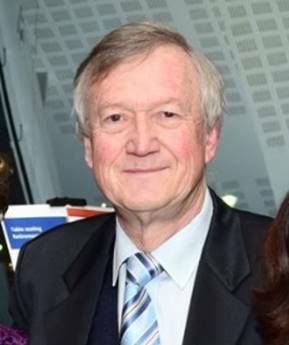 Prof. A.C. Nkabinde, Prof. Rufus Gouws, Dr. Johan du Plessis and Dr. Mariëtta Alberts. with its highest award to become the 5th Honorary Member of the Association. Starting with Volume 21 (2011), Lexikos became an open access journal, freely available to all online readers. All back issues have been digitized, indexed and added to the archive. Want to keep abreast of all the latest AFRILEX activities? The Web's most popular Swahili dictionary. Prof. A.C. Nkabinde, Prof. Rufus Gouws and Dr. Johan du Plessis. with its highest award to become the 4th Honorary Member of the Association. DEADLINE FOR ABSTRACT SUBMISSION EXTENDED TO: 31 March 2017. Invited: papers on the conference theme: multilingualism and transformation in the knowledge age with a lexicographic focus or any aspect of lexicography or terminology. Special sessions may be proposed. All submissions will be adjudicated. You are cordially invited to attend the 21st International Conference of the African Association for Lexicography which will be held 4-7 July 2016 in Tzaneen, South Africa. Invited: papers and posters on any aspect of lexicography or terminology. The prize is administered by a board of trustees, comprising Michael Rundell (Chair), Miloš Jakubíček, Ilan Kernerman, Iztok Kosem, Pavel Rychlý, and Carole Tiberius, who will select the winner. The deadline for nominations for the 2017 prize is 30th September 2016, and the winner will be announced by the end of 2016. Details of the nomination procedure (as well as fuller Terms and Conditions) will be published in March on http://kilgarriff.co.uk/prize/. You are cordially invited to attend the 20th International Conference of the African Association for Lexicography which will be held in Durban, South Africa. Please note: It is compulsory for presenters of papers to register in advance (i.e. before 1 June 2014). You are cordially invited to attend the 19th International Conference of the African Association for Lexicography which will be held in Potchefstroom, South Africa. 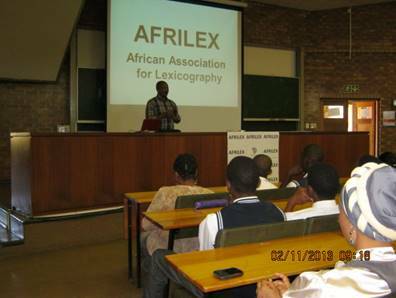 The annual Afrilex Tutorial on dictionary use took place on Saturday 2 November in Mamelodi. It was organised and co-presented by Danie Prinsloo. Stephen Mabule from the Department of African Languages of the University of Pretoria was the main presenter. It was a great success and 110 learners from 8 Secondary Schools in Mamelodi attended. Most of them now own a dictionary for the first time and know how to use it! The event was sponsored by AFRILEX, the venue supplied by the University of Pretoria and Oxford University Press donated work books and pens and provided their Oxford Sepedi/English School Dictionary at a reduced price. AFRILEX welcomes its future members!